36,000 runners will make the 26.2 mile journey from Hopkinton to Boylston Street this Monday morning for the 118th running of the Boston Marathon. There is nothing more motivating and powerful than watching a marathon. From the elites to the back of the pack joggers, everyone has a story to tell about their journey and months of training. As I sit here regretting that I didn’t take the day off to volunteer – or even just to plant myself in front of the TV and watch live coverage all day – I know that the running community will rise up and inspire the world and you won’t want to miss it. Universal Sports Network will be broadcasting the event. They will air a preview show tonight at 4:00pm (that will re-air multiple times throughout the weekend if you miss it) interviewing some of the athletes and setting the scene for this year’s race. Live coverage begins Monday morning at 8:30am. The wheelchair start is at 9:17am. The women’s elite start is at 9:32am; the men start at 10:00am. The BAA is also live streaming the event at WatchLive.BAA.org. 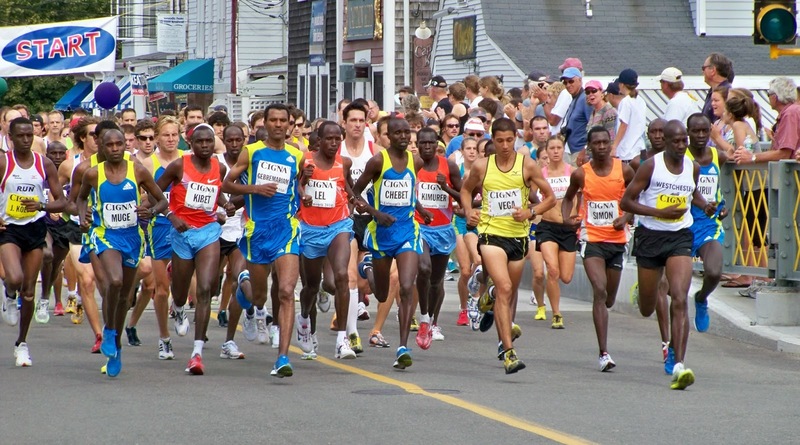 The Boston Marathon is one of the World Marathon Majors along with New York, Chicago, London, Tokyo, and Berlin. To those that don’t follow the sport, Monday's race a big deal. Boston is similar to the Super Bowl of football. Or the Kentucky Derby of horse racing. Shalane Flanagan has said in multiple interviews that she would rather be crowned Boston Marathon champion over Olympic champion. An American women has not won Boston since 1985. Shalane Flanagan is no doubt who I will be cheering for on Monday. She is a Massachusetts native with an extensive running resume but one of the fiercest competitors out there. After placing 4th last year and experiencing the horrific events that took place after the race, she dedicated her whole year to training for this year's race with one goal: Win Boston. Desiree Davila Linden is making her return to Boston after a 2nd place finish in 2011 where she ran the American course record and her personal best of 2:22:38. The past 2 years, Desi has dealt with injuries, including one that led to a DNF at the London Olympics, but returns this year as a serious contender. Rita Jeptoo is the defending champion and also 2006 champion. She ran her personal best of 2:17:57 in Chicago last year. Rita was one of the most dominant female marathoners in 2013 and has set herself up to have another great year. Also running the race is 2012 past champion Sharon Cherop and 2011 winner Caroline Kilel along with 24 year old Ethiopian Mare Dibaba who holds the fastest personal best (2:19:52) in the field. Don't count out American Serena Burla, a cancer survivor and 2:28:01 marathoner. The last American man to win Boston was Greg Meyer in 1983. Meb is healthy and hungry. He may be 38 years old but he has a 2004 Olympic marathon silver medal and 2009 New York City Marathon win on his resume. Most recently Meb won the USA Half Marathon Championships in Houston running 61:23. 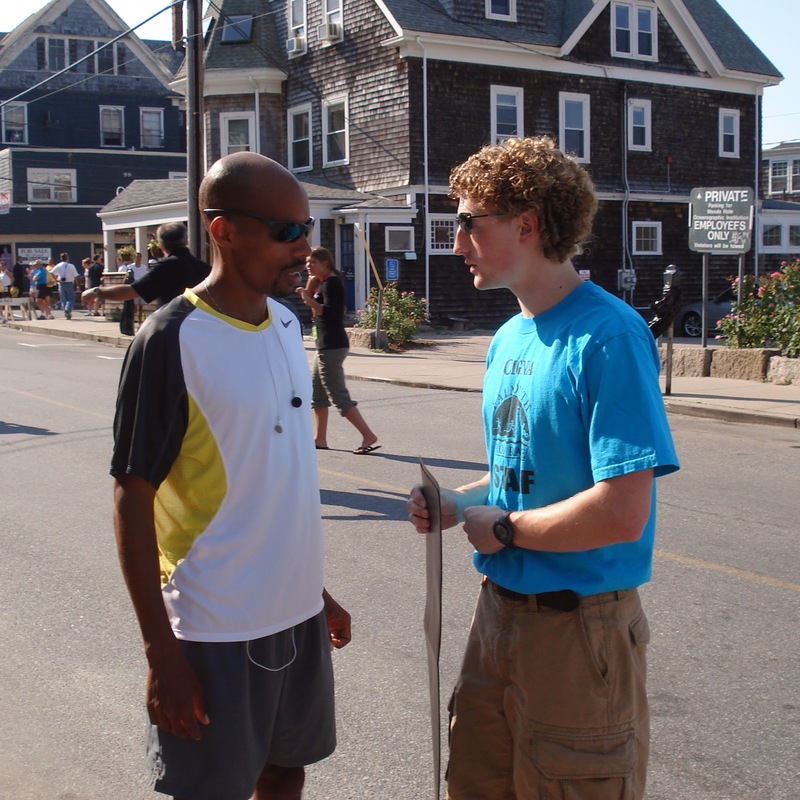 If you don't know Meb, you should read his book "Run to Win." Awesome guy with an inspiring story and a great family. Ryan Hall is the fastest of the Americans (personal best of 2:04:58) but has battled his fair share of injuries and disappointing races over the past few years. Ryan is ready to compete after spending a month at altitude (9,000ft) in Ethiopia and America is looking forward to seeing what he can do. 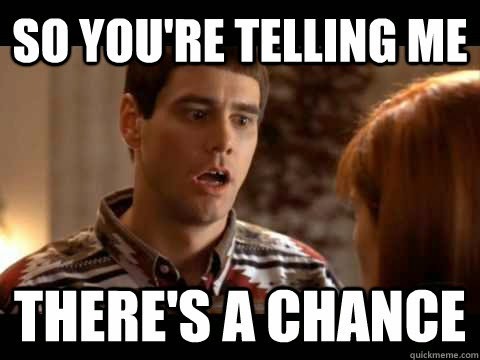 In his first Boston, Abdi is the wildcard. When he’s healthy and his training is going well, Abdi is a force to be reckoned with. 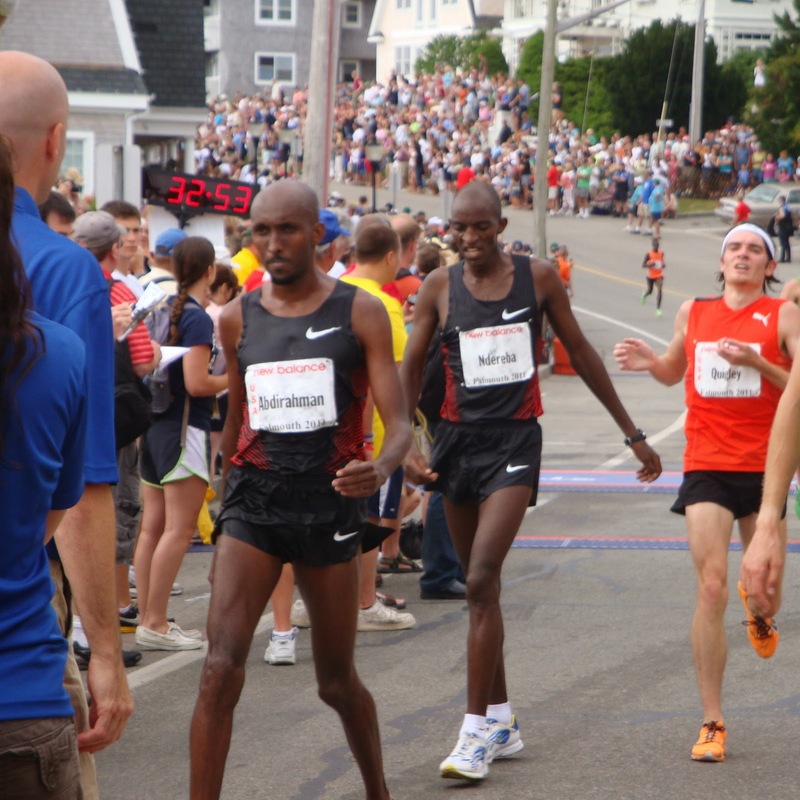 A Falmouth favorite and 4-time Olympian, 37 year old Abdi’s usual laid back approach is predicting a podium finish. You can’t talk about the Boston Marathon without mentioning Jason Hartmann’s name. He is unsponsored and we all thought he was retiring but earned a 4th place finish in Boston in both 2013 and 2012. Lelisa Desisa, the 24 year old Ethiopian is the defending champion. Last year he made a really cool gesture and returned to Boston two months after the race and gifted his medal to the City of Boston in honor of the victims and families affected by the bombings. Lelisa’s marathon best is a 2:04:45. He knows the course and will be a tough one to beat. Micah Kogo of Kenya was second in 2013 and has run a 2:06:56. Micah is a 2x Falmouth champion and a really nice guy so obviously I’ll be cheering for him behind the Americans! Last year was a race between Lelisa, Micah and Gebre Gebremariam (also a former Falmouth champion) as it came down to the final stretch. All 3 men will return. The BAA put together a great field and it's going to be a great race! Are any of my reader’s running on Monday? Let me know so I can track you! Good Luck!! 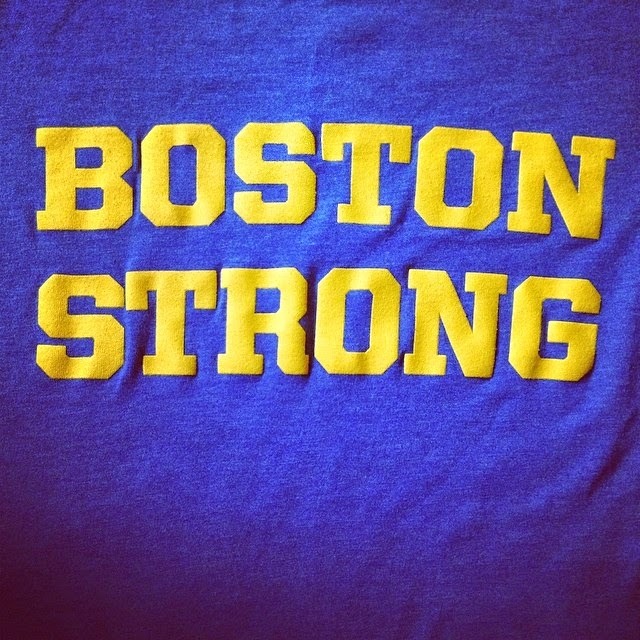 Boston Strong.